Would you pay $7.5 million for the 1,500hp, 280mph ‘ultimate’ Bugatti Veyron? We’ve brought you lots of news over the last several months about an ultimate Bugatti Veyron. After Bugatti ordered another run of its Veyron transmissions, the Internet’s tubes were glowing red hot with speculation over a 1,500 horsepower Veyron. Most of the reporting so far has been based on speculation, but this time we have a smidge of concrete fact for you. “Only after that can we see if there is time and appetite for such a program. It would be expensive and time-consuming, so we must be sure it is worth it,” the source added. We have to ignore that last addition, as we don’t think Bugatti has ever been that worried about profit margins, as the Veyron costs more to produce than it sells for. Volkswagen has always used the Veyron as the expression of its automotive dominance in the world, profits never factored into the equation. What final mark could VW care to make with the final Veyron? 1,500 horsepower from its quad-turbo W16 coupled with a capability of about 280mph should do quite nicely. The current Veyron Super Sport makes 1,186 horsepower and weighs 200kg less than the standard Veyron. We wouldn’t be surprised if Bugatti added some electric motors to make the 300-some horsepower leap to 1500. 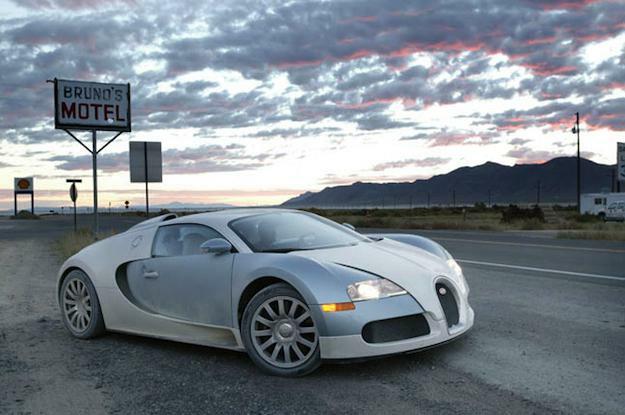 What could the ultimate Veyron cost? Speculators put it in the $7.5-million range. No follow-up comment needed there, we figure. As soon as more info is known about the ultimate Veyron, we’ll be sure to bring it to you.